Haq's Musings: Where's the Real Population "Disaster in the Making"? Pakistan or the West? Where's the Real Population "Disaster in the Making"? Pakistan or the West? Pakistani women's fertility rates have declined significantly from about 4.6 in 2000 to 2.62 babies per woman in 2017, a drop of 43% in 17 years. It is being driven drown by the same forces that have worked in the developed world in the last century: increasing urbanization, growing incomes, greater participation in the workforce and rising education. Pakistan now ranks 65 among 108 countries with TFR of 2.1 (replacement rate) or higher. 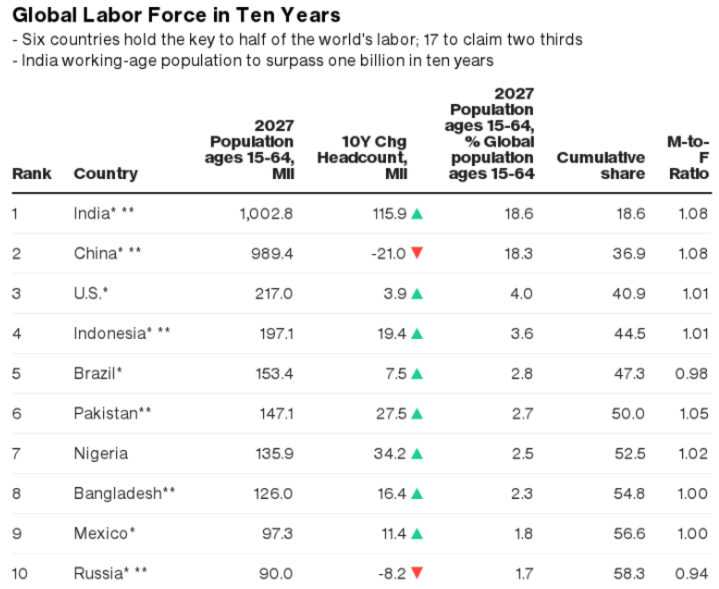 Pakistan's labor force expansion is the 3rd biggest in the world after India and Nigeria, according to UN World Population Prospects 2017. Rising working age population and growing workforce participation of both men and women in developing nations like Pakistan will boost domestic savings and investments, according to Global Development Horizons (GDH) report. 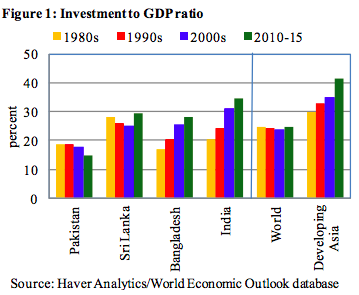 Escaping the low savings low investment trap will help accelerate the lagging GDP growth rate in Pakistan, as will increased foreign investment such as the Chinese investment in China-Pakistan Economic Corridor. Increased savings and investments will not only enlarge the nation's tax base but also help create more jobs for the expected new entrants into the work force as it did in 2000-2010, according to a World Report titled "More and Better Jobs in South Asia". Rising working age population and growing workforce participation of both men and women in Pakistan will boost domestic savings and investments, just as it has in other South Asian nations. 115 countries, including China (1.55), Hong Kong (1.17), Taiwan (1.11) and Singapore (0.8) are well below the replacement level of 2.1 TFR. Their populations will sharply decline in later part of the 21st century along with the economic growth rates. 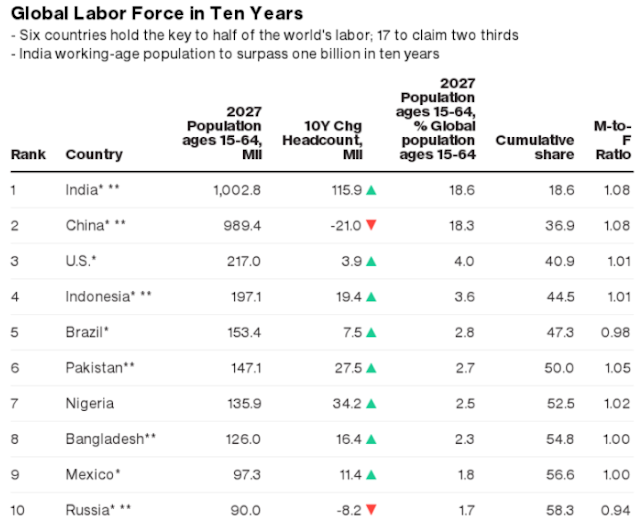 United States is currently at 1.87 TFR, below the replacement rate but still better than China and other developed nations mainly due to immigration. "We don't take a stance one way or the other on whether it's good or bad," said Mark Mather, demographer with the Population Reference Bureau. Small year-to-year changes like those experienced by the United States don't make much difference, he noted. But a sharp or sustained drop over a decade or more "will certainly have long-term consequences for society," he told Utah-based Desert News National. Overzealous Pakistani birth control advocates need to understand what countries with sub-replacement fertility rates are now seeing: Low birth rates lead to diminished economic growth. "Fewer kids mean fewer tax-paying workers to support public pension programs. An "older society", noted the late Nobel laureate economist Gary Becker, is "less dynamic, creative and entrepreneurial." Pakistan's labor force growth is forecast to be the 3rd biggest in the world after India's and Nigeria's, according to UN World Population Prospects 2017. Rising working age population and growing workforce participation of both men and women in developing nations like Pakistan will boost domestic savings and investment, according to Global Development Horizons (GDH) report. 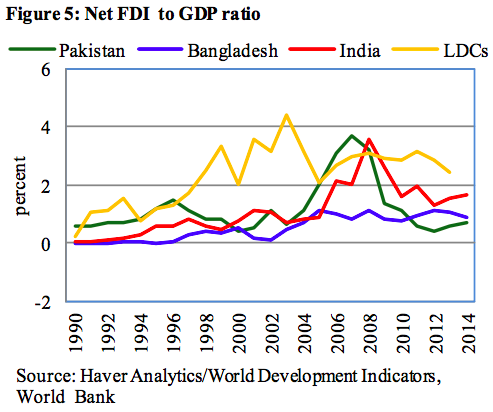 Escaping the low savings low investment trap will help accelerate the lagging GDP growth rate in Pakistan as will increased foreign investment such as Chinese investment in China-Pakistan Economic Corridor over the next several decades. What do you suggest Orangi families to do? Average is 4+ children per married woman there. Our NGO was banned by the local mosque. I didnt think educated people like yourself should talk like a mullah and encourage more children. Asma: "What do you suggest Orangi families to do? Average is 4+ children per married woman there." Your claim of 4+ children per woman in Orangi is not credible given the fact that Pakistan's overall fertility rate is 2.62 and Karachi, being a major city, has lower fertility rate than the national average. Asma: "The 2.6 TFR number is from CIA Factbook from a 2016 estimate (click on country comparison) and not from 2017 census." Yes, I see a wide range of figures quoted for TFR in Pakistan. Now the CIA estimated Pakistan's population at 201,995,540 as of July 2016. That's really close to the 207 million Census 2017 population figure. So I think the CIA pyramid is a pretty good starting point for TFR estimation. It requires some work to figure out a reasonable TFR estimate using raw data from population pyramid. It works out to total fertility rate of 2.68 children per woman. 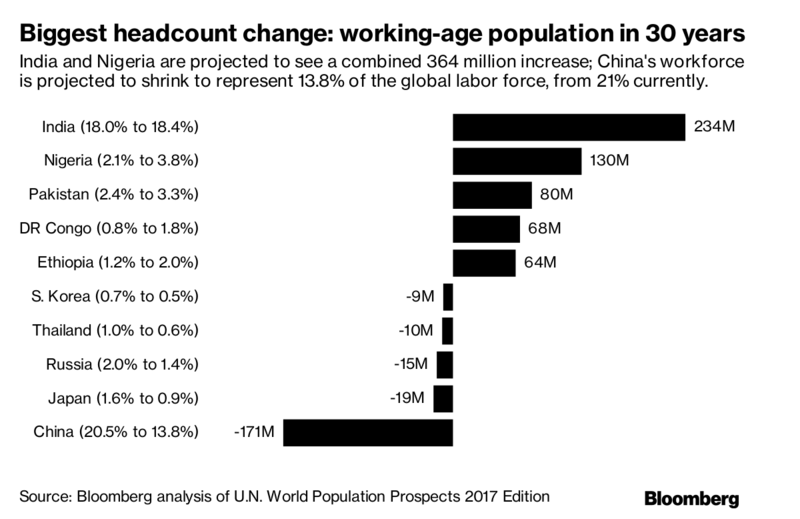 India's pop boom is frightening since economy's focus is so limited. Has made a mess of ag development and the v small plots means growing boom of landless and more going hungry. 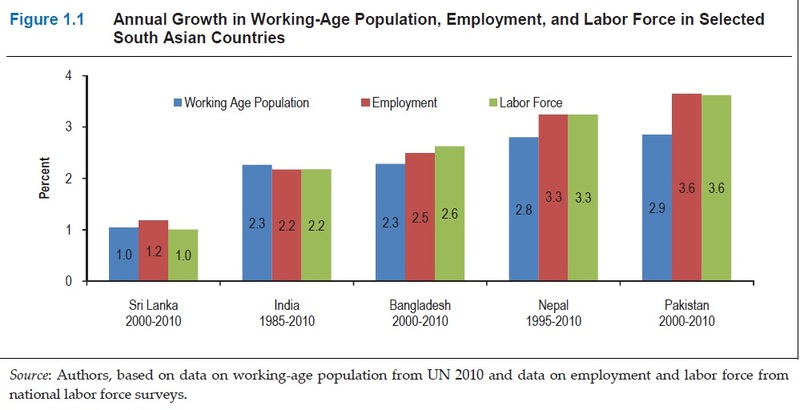 Mayraj: " India's pop boom is frightening since economy's focus is so limited." Bloomberg is WAY OFF. All the growth in the poorer less capable NORTH. Unless their education and skills are improved will not be capable! Education is failing these people. "Two overarching challenges face the Indian economy over the long term. One is the challenge of a rapidly deteriorating environment, including the scarcity of fresh water, which I leave aside in this article. The other is the spectre of unemployment or, more accurately, underemployment. There are multiple factors that account for the slow growth of productive jobs, ranging from poor infrastructure to poor governance to the anti-employment bias of a whole slew of economic policies. But the binding constraint on growth of high-productivity employment is the failure of India’s education policy. Only a small proportion of the workforce has the educational foundation required for skilled high-productivity jobs. Barely 5% of the workforce in India has had any skill training. Only 2% have any formal skill certificate compared to over 70% in advanced European countries like the UK or Germany, and as much as 80% to 90% in east Asian countries like Japan and South Korea. Building on some initiatives of its predecessor, the present government introduced a National Policy on Skill Development and Entrepreneurship 2015 to address India’s enormous skill deficit. Several programmes have been launched under this policy, including the ambitious Pradhan Mantri Kaushal Vikas Yojana (PMKVY) that aims to train roughly 400 million workers in the 15-45 age group over seven years. The results so far are disappointing. In its submission to a parliamentary committee, the government indicated that of the 1.76 million candidates trained under the PMKVY till 25 April, only 580,000 could be certified as having successfully completed the training. Less than 82,000 were actually placed in jobs. Why is the success rate so low? The answer is quite simple. No skill development programme, however well designed, can succeed without an underlying foundation of basic education. But India’s long-standing neglect of primary and secondary education has greatly limited the access to quality basic education. The elitist bias of India’s approach to education is evident not in the stated policies, but in the manner of their implementation and the outcomes. After decades of lofty policy goals, India’s poor performance stands out when compared to that of some of our Asian neighbours and other emerging market economies. Mayraj: "Bloomberg is WAY OFF. All the growth in the poorer less capable NORTH." The ongoing consumption demand that began in fiscal 2012 is unsustainable given the poor employment growth as private sector investments still remains a far cry, and this growth story may get hard stop soooner than later, warned a brokerage in a report. According to Ambit Capital, despite the slowdown in income and employment growth between FY12 and FY17, private consumption continued to grow at a rapid pace, especially in categories like FMCG and passenger vehicles "showing resilience". As per the brokerage, the rise of consumption growth over FY12 to FY17 has been driven by higher retail credit. "As corporate credit demand waned over 2011-12 to 2106-17, both NBFCs and banks pushed retail credit aggressively. The retail credit-GDP ratio rose from 13 percent to 16 percent in 2016-17," Ambit said. However, it noted the "current bout of consumption growth appears unsustainable mainly because consumption boom has uniquely been accompanied by a contraction in the investment-GDP ratio" to 7 percent during FY12 to FY17, while the ratio for consumption-GDP is 3 percent. The report also noted that the current retail credit-funded consumption binge is likely to experience a "hard stop" sooner than later on basis of various trends, including a plunge in consumer confidence to a four-year low during the first quarter of the current fiscal. Besides, households' savings ratio at an 18-year low and retail NPA problems have begun to emerge particularly in the housing finance segment, are also factors which could effect retail credit-funded consumption, Ambit said. When 3 million people died in 1943 Bengal famine caused by the British decision to divert food supplies for war, Churchill said it's the Indians' own fault because they breed like rabbits". Many of his colleagues thought Churchill was driven by a deep loathing of democracy for anyone other than the British and a tiny clique of supposedly superior races. This was clearest in his attitude to India. When Mahatma Gandhi launched his campaign of peaceful resistance, Churchill raged that he "ought to be lain bound hand and foot at the gates of Delhi, and then trampled on by an enormous elephant with the new Viceroy seated on its back." As the resistance swelled, he announced: "I hate Indians. They are a beastly people with a beastly religion." This hatred killed. To give just one, major, example, in 1943 a famine broke out in Bengal, caused – as the Nobel Prize-winning economist Amartya Sen has proved – by the imperial policies of the British. Up to 3 million people starved to death while British officials begged Churchill to direct food supplies to the region. He bluntly refused. He raged that it was their own fault for "breeding like rabbits". At other times, he said the plague was "merrily" culling the population. Hussein Onyango Obama is unusual among Churchill's victims only in one respect: his story has been rescued from the slipstream of history, because his grandson ended up as President of the US. Churchill believed that Kenya's fertile highlands should be the preserve of the white settlers, and approved the clearing out of the local "blackamoors". He saw the local Kikuyu as "brutish children". When they rebelled under Churchill's post-war premiership, some 150,000 of them were forced at gunpoint into detention camps – later dubbed "Britain's gulag" by Pulitzer-prize winning historian, Professor Caroline Elkins. She studied the detention camps for five years for her remarkable book Britain's Gulag: The Brutal End of Empire in Kenya, explains the tactics adopted under Churchill to crush the local drive for independence. "Electric shock was widely used, as well as cigarettes and fire," she writes. "The screening teams whipped, shot, burned, and mutilated Mau Mau suspects." Hussein Onyango Obama never truly recovered from the torture he endured. "Where's the Real Population "Disaster in the Making"?" Dear Sir, this is a really shocking article from a person living in the west. 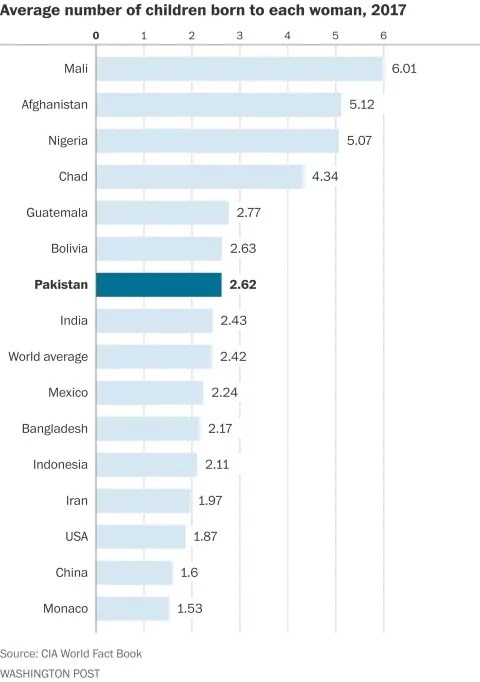 You seem to believe more population is good..... absolutely not true.Just look at Pakistan - their GDP has gone below the GDP of Bangladesh. This is definitely not a good indicator. #Pakistan boasts the world's fastest growing retail market. Growing middle class & youth bulge are big reasons why. Economists urged to use fertility to predict recessions New paper shows drop in conceptions is evident before economy starts to contract Economists have found evidence of a bump slump before recession strikes Share on Twitter (opens new window) Share on Facebook (opens new window) Share on LinkedIn (opens new window) Mail Save Save to myFT Gemma Tetlow in London 6 HOURS AGO 7 Listen to this article Play audio for this article 00:00 04:04 Experimental feature Report a mispronounced word or Give us your feedback Looking for evidence that a recession is coming? Count how many women are pregnant. That is the conclusion of new US research that suggests economists and investors should pay attention to fertility to understand when a slump is due. A paper published on Monday by the National Bureau of Economic Research shows that, ahead of the past three US recessions, the number of conceptions began to fall at least six months before the economy started to contract. While previous research has shown how birth rates track economic cycles, the NBER study is the first to show that fertility declines are a leading indicator for recessions. Daniel Hungerman, economics professor at the University of Notre Dame and one of the report’s authors, said it was “striking” that the drop in pregnancies was evident before the recession that came after the 2007 financial crisis, since it has traditionally been argued that this slump had been hard to predict. “None of the experts saw it coming and in its first few months many business leaders were convinced the economy was doing OK,” he says. In fact the fertility statistics told a different story. The number of conceptions in the US rose slightly between the first half of 2006 and the first half of 2007. But the year-on-year growth rate turned negative in the third quarter of that year, when US stock indices were still hitting then-all-time highs and six months before a similar decline in economic output. Share this graphic The analysis used data on the 109m births in the US between 1989-2016 to examine how fertility rates changed through the last three economic cycles — in the early 1990s, the early 2000s and the late 2000s. It found similar patterns in all three cases. “One way to think about this is that the decision to have a child often reflects one’s level of optimism about the future,” says Kasey Buckles, another Notre-Dame professor and co-author of the study. Research published through the NBER is often conducted by academics at their own universities. The team found that falls in conceptions predicted recessions as well and as far in advance — if not more so — than many commonly used indicators such as consumer confidence, measures of uncertainty, and purchases of big-ticket items such as washing machines and cars. The correlation between conceptions and recessions is not perfect. There have been periods when conceptions have fallen but the economy has not. Professor Buckles says: “It might be difficult in practice to determine whether a one-quarter drop in conceptions is really signalling a future downturn. An estimated 15,000 babies will be born in Pakistan on New Year’s day, accounting for 4 per cent of all babies born today globally, Unicef, the United Nations agency for children announced on Tuesday. 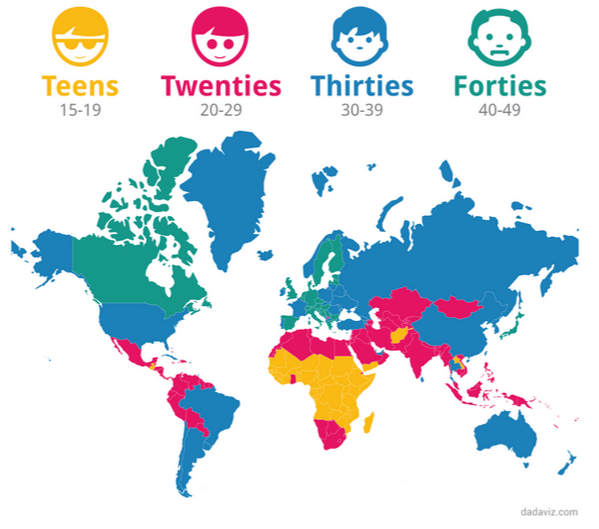 Of the 395,072 babies who will be born around the world on January 1, a quarter will be born in South Asia. Internationally, half of these births are estimated to take place in eight countries, with Pakistan at fourth place. It is expected that the year's first baby will be delivered in Fiji in the Pacific, while the United States will deliver the last. Sydney will welcome an estimated 168 babies; Tokyo, 310; Beijing, 605 babies; Madrid, 166, and New York City, some 317 babies. Around the world on the first day of 2019, families will welcome countless Alexanders, Ayeshas, Zixuans and Zainabs. But in several countries, many babies will not even be named as they won’t make it past their first day. In 2017, about 1 million babies died the day they were born, and 2.5m died in just their first month of life. Among those children, most died from preventable causes such as premature birth, complications during delivery, and infections like sepsis and pneumonia, a violation of their basic right to survival. "This New Year's Day, let’s all make a resolution to fulfil every right of every child, starting with the right to survive," said Aida Girma, the Unicef representative in Pakistan. "We can save millions of babies if we invest in training and equipping local health workers so that every newborn is born into a safe pair of hands." 2019 marks the 30th anniversary of the adoption of the Convention on the Rights of the Child, which Unicef will be commemorating with worldwide events throughout the year. Under the convention, among other things, governments have committed to taking measures to save every child by providing good quality health care. But there has been slower progress for newborns. Babies dying in the first month account for 47pc of all deaths among children under five. Unicef’s 'Every Child Alive' campaign calls for immediate investment to deliver affordable, quality health care solutions for every mother and newborn. These include a steady supply of clean water and electricity at health facilities, the presence of a skilled health attendant during birth, ample supplies and medicines to prevent and treat complications during pregnancy, delivery and birth as well empowering adolescent girls and women who can demand better quality of health services.